What are the top things to see in a day in Hong Kong? As a regional air and transport hub, Hong Kong is a favourite for one or two day stopovers for tourists, backpackers and gap year travellers. So what can you fit in a one day itinerary? Hong Kong is a city where east meets west – rich in vibrant Chinese culture and British colonial influence. For gap year travellers on a budget, Hong Kong is more expensive than mainland China but for a single day there’s plenty you can do at low to no cost. On that note, here’s our 24hr itinerary to make the most of your stay in Hong Kong on a budget. 1. Get the A201 bus from the Airport – save money and see the harbour and islands. The A201 bus runs from just outside the international arrivals lounge at Hong Kong airport, and takes about 45-60mins to reach central Kowloon and costs just 33HKD (about £3.50/ $4.00). It’s cheaper than the Express Train and it’s direct, meaning no annoying transfers onto other lines – with several stops on Nathan Road, the main shopping/ bedsit street in Kowloon. Even better is that it takes a scenic drive sit on the right hand side window heading into Kowloon) over impressive bridges with views of the port and several small islands. Kowloon on the mainland is significantly cheaper and more vibrant, offering first class views of Hong Kong island with rooms in a bedsit/ family hotel starting at as little as HKD300 (£28) per night. 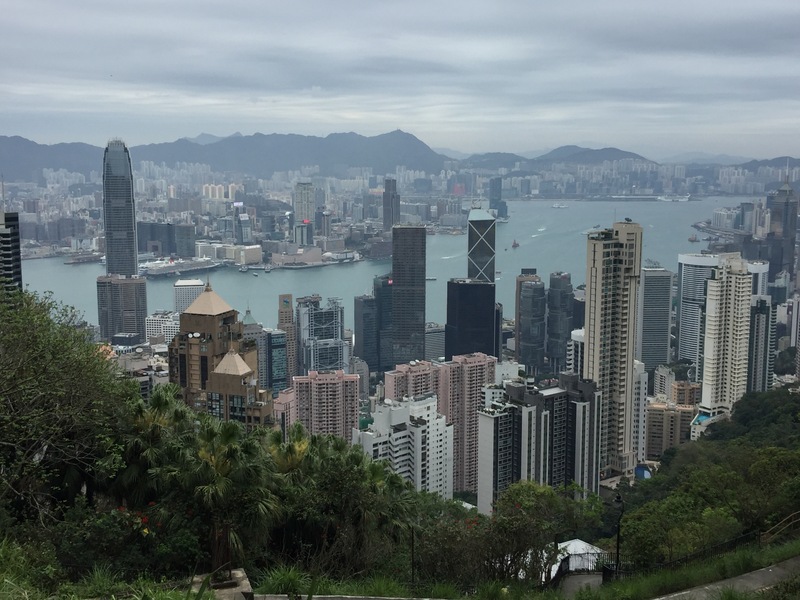 Kowloon and Nathan Road are served by excellent train and ferry links to the Island and are within walking distance of many of the top sights of HK. Walk to the promenade for day time photos of the harbour and take the ferry or alternatively take the train from Tsim Sha Tsui to Central. Outside the station board the Peak Tram shuttle bus (No.15c) near Star Ferry Pier 8 which takes about 10mins to the tram and costs just HKD 4.20. Once you arrive at the Lower Tram Terminus expect queues. Early mornings are best, midday can take up to an hour as the trams hold on several dozen people and are on an 8min loop. There are two types of ticket – the standard Peak Tram ticket for HKD 45 return or the Sky Pass for HKD 90 and gives you access to the Sky Terrace 428 viewing deck. Completed in 1993, this 38m high bronze statue of Buddha is located on Lantau Island. It featured 260 steps leading up to it with admission to the external areas free of charge. You can reach it via bus, taxi or ferry. 5pm. Enjoy the bright lights of the streets of Kowloon, walking through the night marketing on Temple Street and haggling for deals. Remember only rich American tourists pay full price – as a rule of thumb start your offer 33% and never pay more than 50%. Enjoy traditional Chinese food on the street – it is reasonably priced for Hong Kong but expect long waits. 7.30pm. Allow about 30mins to walk down Nathan Road, past the dozens of large jewellery stores and people selling watches, tailored suits and massages to reach the Promenade. Every night at 8pm the city lights up for a musical light show – whilst not as impressive as the one in Singapore it’s still a good way to see the city all lit up. Catch a photo of the red sailed dragon boats as they navigate tourists around Victoria Harbour, making a spectacular photo as they glide in front of the city skyline. 8.30pm. 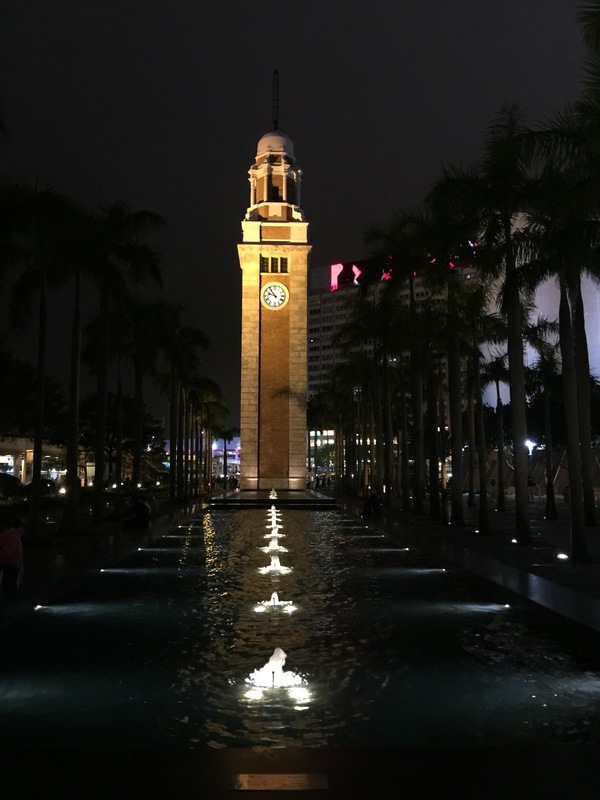 The light show lasts 15mins, once the crowds have started to clear there’s a great chance to get a photo of The Clock Tower, built in 1915, the only remanent of the original Kowloon Railway Station. The ferry terminal is alongside, coin machines issue a token which costs HK 3.40 for a 8minute one way trip packed with photo opportunities. The ferry pulls into the Central Ferry Piers alongside the Central train station. 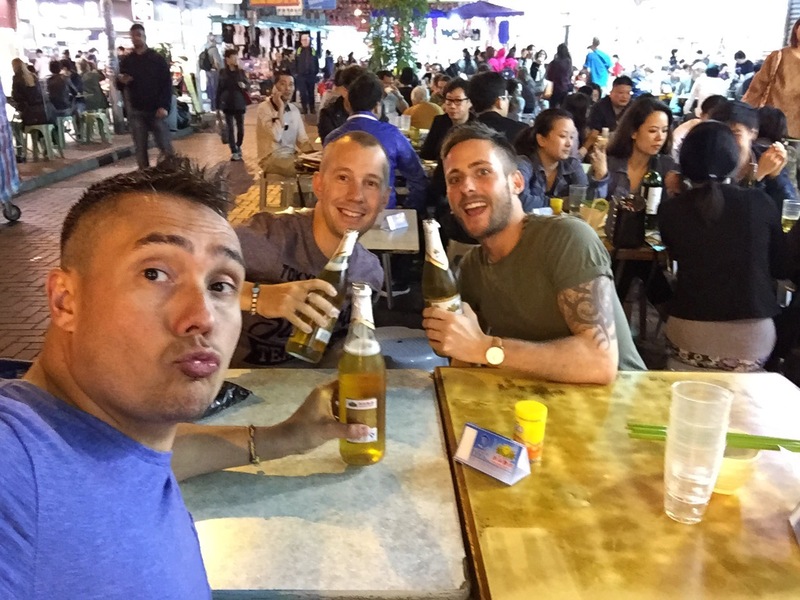 From here you’re only a short walk to the bars and restaurants of Lang Kwai Fong or Soho areas.